Website and processes: 2 Nov 16 Marie, 4/5 Good "Easy to choose the experience and easy to order"
Flights can be in any direction you wish from Gloucester Airport. 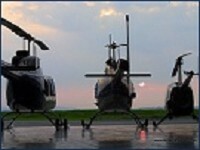 Flights can also be tailored to your individual requirements. Each voucher entitles up to 3 people to participate in this experience. The voucher is transferable, which means that anyone can use it. The voucher remains valid for bookings for 6 months from the date of purchase. Please contact the operator	using the details printed on your voucher to arrange a date for your event.